TSE offers an innovative graduate program in economics entirely taught in English and a doctoral program modelled on the top American universities. 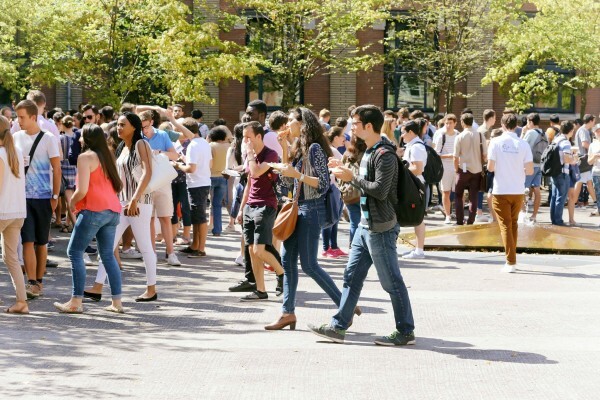 Each year the TSE school plays host to over 100 students from over 50 European and International Universities, as part of the Erasmus exchange programme and bilateral agreements. They can follow courses from the first year in “Licence 1 Economie et gestion” to the Master 1 in Economics, international track (syllabi will be available in September). All Master 2 courses are closed to the exchange students. Students will only be allowed to follow courses from the first year in our "Licence 1 Economie et Gestion" and from the second year in our "Licence 2 Economie et Gestion" (syllabi will be available in September). These courses are completely taught in French. A pre-selection on these choices begins before arriving at TSE, notably the requirements in mathematics. A B2 level in English and/or a B2 level in French is required. A compulsory information meeting will be held Wednesday 29th August 2018 from 2:30pm to 4:00pm on our campus at the “Manufacture des Tabacs” (Amphitheater MB 1). In the second semester, there will be no information meeting. Note: It is recommended not to book flights too early. Changes in the exam schedules may occur. Other faculties or components of UT1 may have a different calendar. The International and European Relations office (SCREI) of the University Toulouse 1 Capitole is in charge of all exchange students. Useful information regarding studies and stay in Toulouse are available (registration, housing etc) on the University website UT1 under the heading “Europe and International”. To apply, students must do their registration online at the following address: http://www.ut-capitole.fr/incomingstudents. The school focusses on developing international partnerships with the best universities in the world. Thanks to these agreements, every year more than 50 students leave TSE to study abroad for a gap year.